Chris Cornell’s death Wednesday night in Detroit following a Soundgarden show in the city has been ruled a suicide by hanging following an autopsy today. The Detroit Free Press reports The Wayne County Medical Examiner's Office confirmed the news less than 24 hours after the singer’s body was discovered on the floor of the bathroom in his room at the MGM Grand Detroit. "The Medical Examiner has completed the autopsy on 52-year-old Chris Cornell, the Soundgarden musician who died last night in Detroit,” the office said in a statement this afternoon. “The cause of death has been determined as hanging by suicide. A full autopsy report has not yet been completed. There is no additional information at this time." Cornell performed with the Seattle band at The Fox Theatre as part of a recently-launched North American tour before returning to his hotel after the concert. A spokesperson for the Detroit Police Department revealed Cornell was found after his wife called a family friend and asked him to check on Cornell; the friend forced himself into the room and made the discovery before calling 911 at approximately midnight. “He was found in his room with a band around his neck," said Detroit PD Digital Media Relations Manager Dontae Freeman. "His wife Vicky and family were shocked to learn of his sudden and unexpected passing,” spokesperson Brian Bumbery said in a statement. "They would like to thank his fans for their continuous love and loyalty and ask that their privacy be respected at this time." Cornell co-founded Soundgarden with lead guitarist Kim Thayil and bassist Hiro Yamamoto in Seattle in 1984; bassist Ben Shepherd and drummer Matt Cameron went on to round out the band’s longtime lineup. Soundgarden released six studio albums since 1988, earning worldwide sales of 23 million copies. The group’s commercial peak was 1994’s “Superunknown”, which sold 5 million in the US alone. 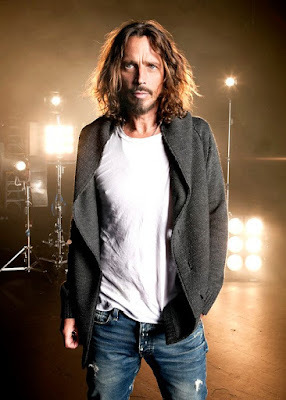 Cornell – who also handled vocals for supergroups Temple Of The Dog and Audioslave – issued four studio records as a solo artist and enjoyed a long history of film and soundtrack work.